If you want to make these ‘less bad’ for you, add 1/2 cup oats and swap white flour for unbleached or whole wheat. Cream the butter in a mixer. Add both sugars & vanilla, followed by the egg. When combined, add salt & baking soda; follow with flour. 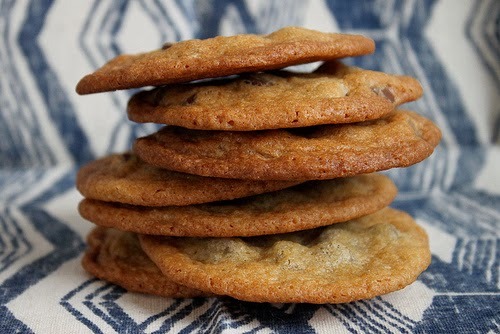 When flour is almost completely mixed in, add chocolate chips. Chill dough in fridge for 30 min. Previous Post Fall Date Night Ideas! Next Post Mary Kay Contest Winner!